Eureka, Kansas is the Primary town of the Shed Division. 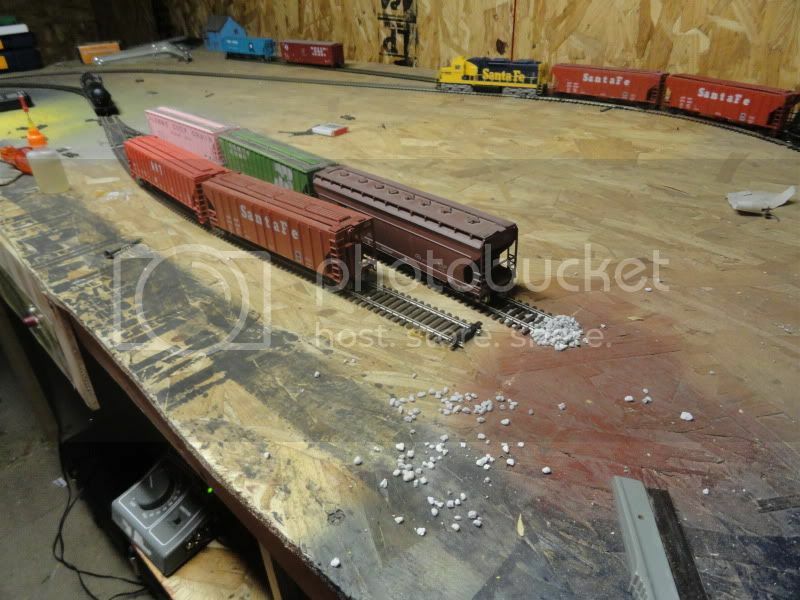 It features a small yard, a team track, a large passenger depot, a grain elevator, and an interchange with the Mopac. 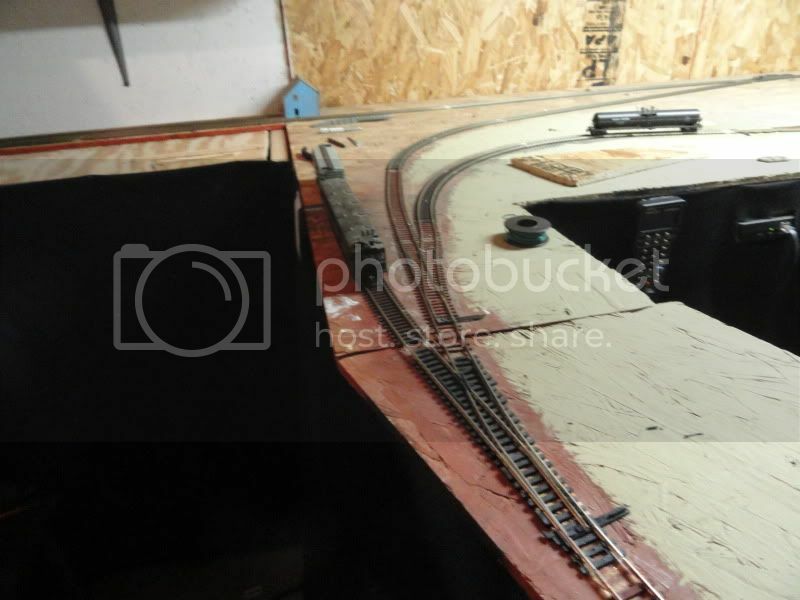 Ok, Ok, the Depot isn't huge, but its large for a branch line! 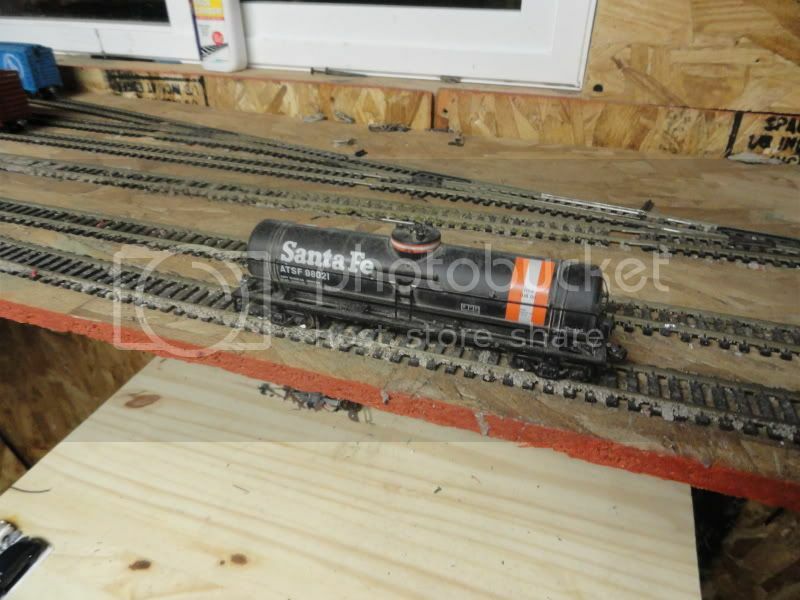 This was the first section of the layout to be completed. 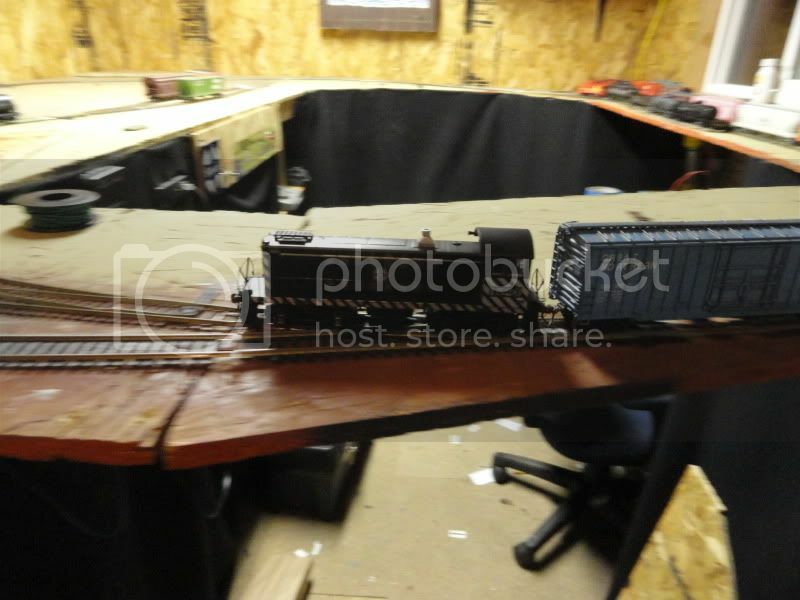 And is represented by the loop of track on the lower deck. Only the town of Hamilton is also on the lower deck, and its entire existence is represented by a lone grain elevator. 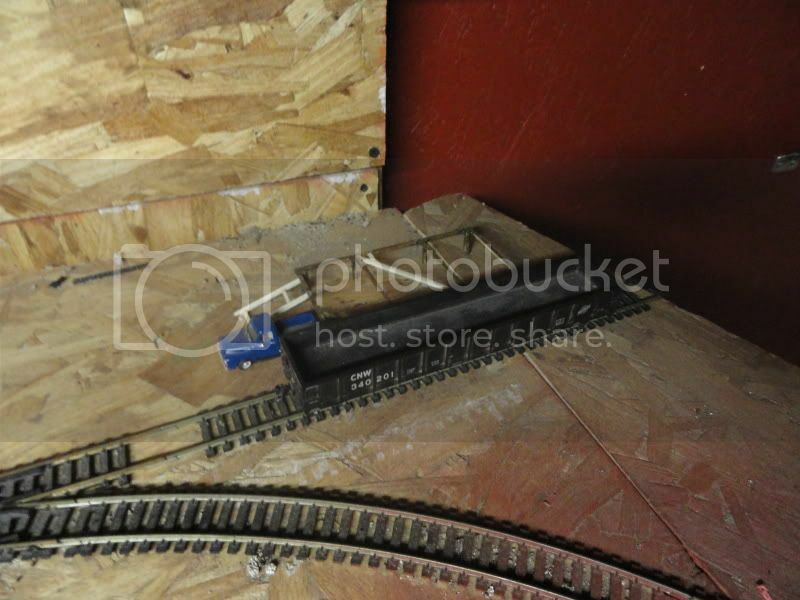 The beginnings of the scratchbuilt team track dock at Eureka. I have the pieces to build the deck, I just haven't installed them yet. This place should receive mostly boxcars. But an occasional flat may be spotted here with tractors or other farm implements on it. An Overview of the place for the eureka depot. 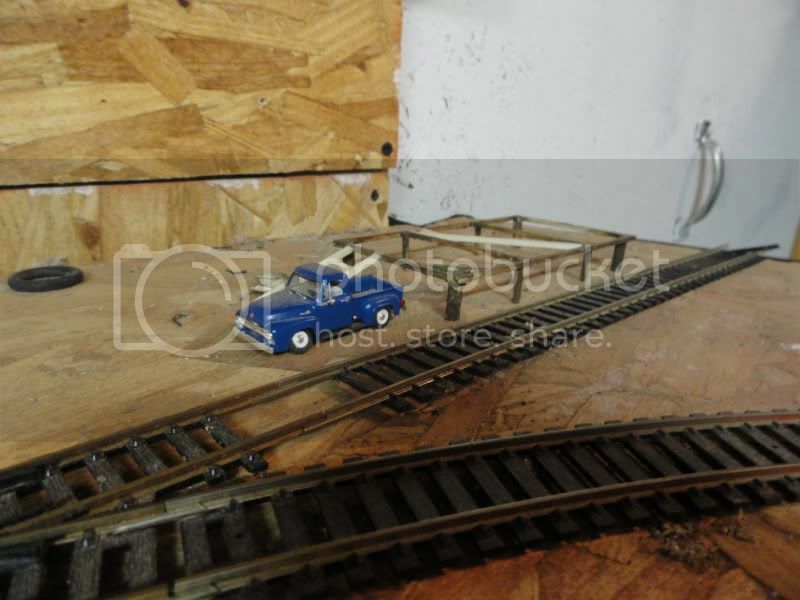 The track with the doodlebug on it is the housetrack, home for the doodlebug and any express cars for Eureka. The second switch controls if a train is entering the grain elevator/Propane Dealer. Or simply proceeding towards Emporia. An Alco S4 darting across the Eureka depot turnouts. 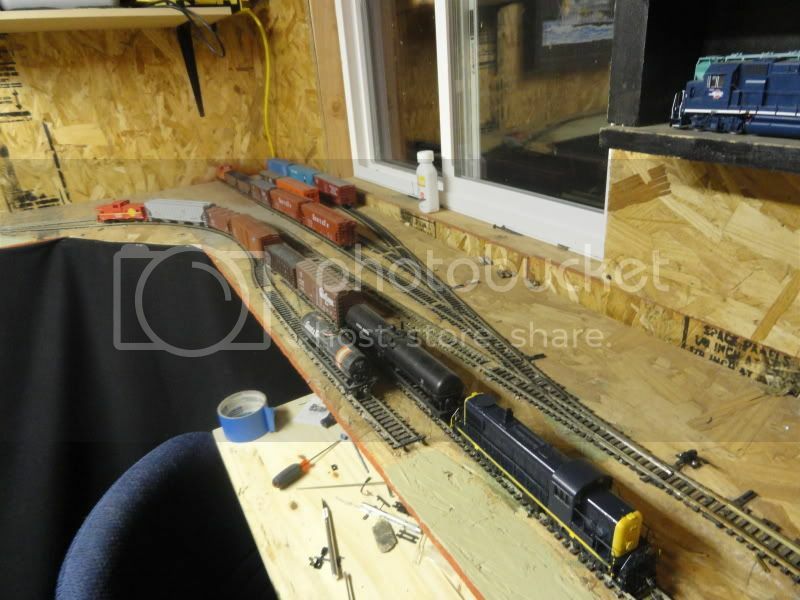 An overview of the Eureka yard, prior to the addition of the crossovers on the other side. Site of the grain elevator in Eureka. The largest and busiest Grain elevator on the line, 6 grain cars can be spotted here at a time. A little further down this spur is the propane dealer. The propane dealer, this place receives in Loaded Propane tankers and ships out emptys, sometimes a boxcar might be spotted here to unload supplies or to pickup old propane tanks. That yellow splotch was the result of a painting project that occurred before this track existed. That patch has since been covered. 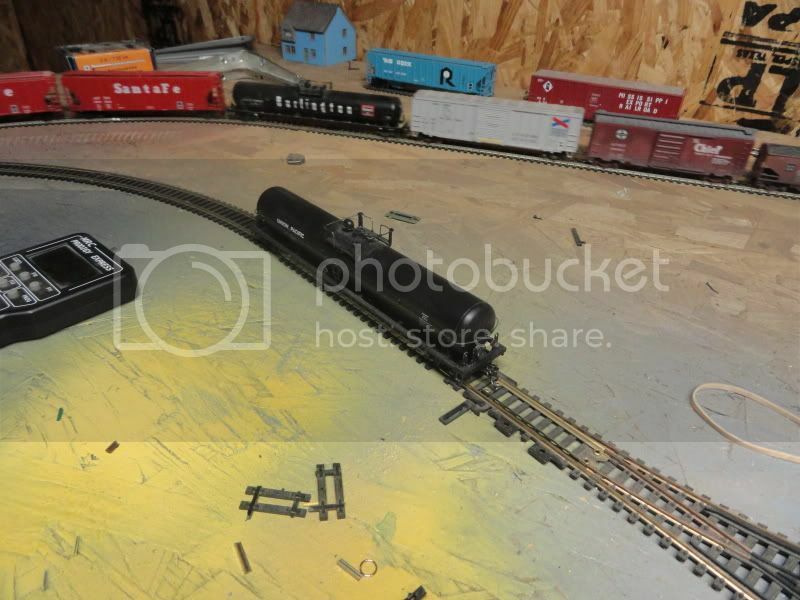 The bulk oil dealer is located on the section of the layout closest to the edge. The buildings are represented as being "off layout". I plan on putting a fence between the mainline and this industry at some point in time.